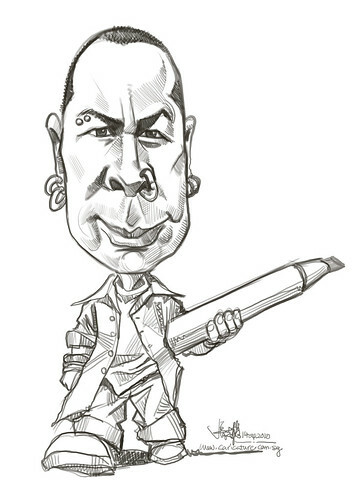 I saw this caricaturist's photos on his Facebook, for other caricaturists to sketch his face. His features are pretty interesting. and posted up on my Facebook. Will colour in later when I have completed jobs due in the next few days.